Wanuskewin in Saskatoon revealed today that Wayne Brownlee, Executive Vice President and Chief Financial Officer of PotashCorp and Chief Felix Thomas, Tribal Chief of the Saskatoon Tribal Council have committed to raising funds as Campaign Co-Chairs in support of an ambitious plan for Wanuskewin to become a global centre of excellence in the education, preservation and interpretation of Northern Plains Indigenous cultures and heritage. Part of Wanuskewin’s exciting vision for renewal is to apply to become Saskatchewan’s first United Nations Educational, Scientific and Cultural Organization (UNESCO) World Heritage Site. Zeba Ahmad of EY moderated the announcement of her fellow volunteers; a stellar group of Indigenous and non-Indigenous leaders from many sectors. Committed to the initiative are: Scott Banda, Chief Executive Officer of Federated Co-operatives Ltd.; Chief Darcy Bear of Whitecap Dakota First Nation; L. David Dubé, President and CEO of the Concorde Group Corp.; Blaine Favel, Chancellor of the University of Saskatchewan; Tim Gitzel, President and CEO of Cameco; Grant Isaac, Senior Vice President and Chief Financial Officer of Cameco; George Lafond, S.O.M. ; Kelly J. Lendsay, President and CEO of the Aboriginal Human Resource Council; Gary Merasty, President and Chief Operating Officer of Des Nedhe Development; W. Thomas Molloy, O.C. ; Robert Stromberg, Q.C. ; Jochen Tilk, President and CEO of PotashCorp; Ron Waldman, Partner of NorthStar Hospitality; and Dr. Ernest Walker, O.C., Archaeologist at the University of Saskatchewan. “We owe it to ourselves and our children’s children to preserve, develop and embrace this celebration of survival and coming together. This has motivated our entire campaign team and should motivate all of Saskatoon and Saskatchewan,” added Brownlee. 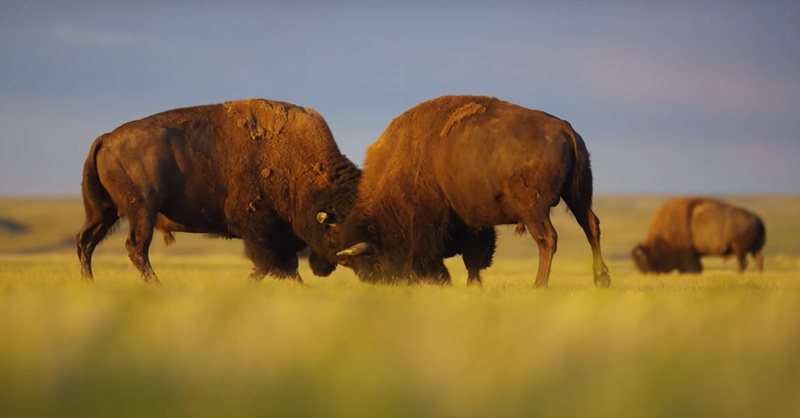 The renewal project is multifaceted and involves elevating present-day programming and gallery spaces, preserving the ecology and biodiversity of the site, expanding the land base to meet UNESCO’s criteria and returning a small herd of Plains bison to their native prairie habitat. Chief Thomas stated: Wanuskewin is a story of resilience, reconciliation, and revival of a cultural and spiritual way of life that all Canadians can be part of.” The diverse leadership team is complemented by a steering committee that includes Leanne Bellegarde, Director of Aboriginal Inclusion at PotashCorp; Dawn Deguire, Director of Communications at the Saskatoon Tribal Council; Keith Martell, Chairman and Chief Executive Officer of First Nations Bank of Canada, and Dana Soonias, Chief Executive Officer at Wanuskewin. Wanuskewin plans to renovate and expand the facility to attract international exhibitions, conferences and special events; to expand the art gallery and showcase Plains Indigenous art in Canada; to dedicate additional green space and grassland restoration; and increase Saskatoon’s reputation as a global tourism destination. Soonias added: “If ever a legacy exists, the story of the Indigenous peoples of the Northern Plains is one that must be told in a manner respectful of the millions that walked this journey of preservation – in culture, spiritual integrity and the environment. Our objective is to provide an accurate account of their survival, perseverance and human interaction on this land, Wanuskewin is excited to embark upon this journey , and we are grateful to all of the community leaders who have committed to helping us achieve our remarkable vision.